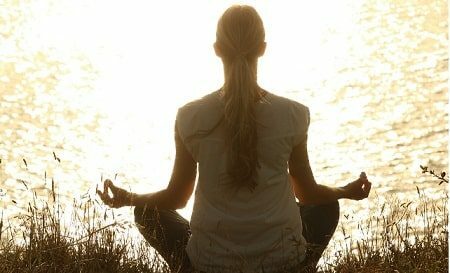 Meditation is a technique or practice whereby an individual focuses their mind, and thoughts to achieve mental and emotional clarity and calmness. This technique has been practiced for many years by many religions to find a path to enlightenment and self-actualization, with the benefits of relieving stress and improving overall well being. For meditation, a quiet and comfortable spot is crucial, where you can sit in a comfortable position with proper posture to enhance the health benefits. This is where a proper Meditation Pillow comes in! Because most forms of meditation are done in a sitting position, a good pillow can provide effective comfort and support in order to enhance the process and calmness of meditation. The main reason behind a pillow for meditation is the fact that you need to keep a perfect posture, while still remaining comfortable enough and completely pain and strain free. 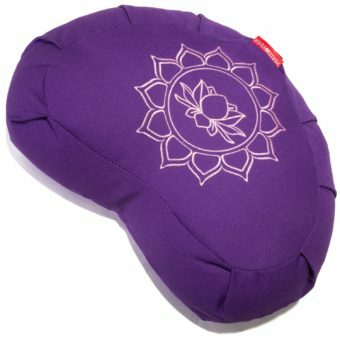 A good meditation pillow provides you with a relaxing and comfortable area to practice meditation in a correct posture, reaping all the health benefits in the comfort of your own home. A small round or large round and flat pillow creates a comfortable spot to sit on, and is visually pleasing. A large Square or small square Pillow likewise makes for an excellent Meditation Pillow. The pillow with additional Yoga mat is great to practice different forms of meditation as well as Yoga positions on. The perfect shape for ideal support and a better posture. Like I have mentioned, Buckwheat and natural filings and materials are most popular for yoga practice and meditation. Other fills such as latex, kapok, foam, memory foam and microbeads can also be used. Mediation and Yoga Practice originally leans towards colorful and texture-rich contours and fabric designs, although you can find a Meditation Pillow in any color or fabric type that you prefer. Mandala prints and rich deep colors are usually most prevalent in natural and soft textures. Take into consideration which postures you mainly use to meditate in, and choose a size and shape pillow that will provide the maximum comfort and support for these specific positions. Find a pillow that allows you to sit up straight and keep a proper posture. A comfortable fill such as Memory foam, Kapok or Buckwheat is ideal to offer good support and comfort. Make sure the pillow is the proper density as to not interfere with your positions and to still offer good support and comfort. Look for durable construction and materials that can be washed easily and that will last with use. I have tried to include as much variety when it comes to shape, fill, size and fabric as possible, for you to make an easy and well-informed decision. The Crustal Cove Buckwheat Fill Mediation pillow is an all natural, comfortable, and easy to transport pillow ideal for Mediation and Yoga. Ideal for meditation and Yoga practice of all levels and styles. Modern round design with an easily washable removable cover. Manufactured from GOTS Certified organic cotton and a Buckwheat fill. Easily adjustable by removing or refilling the Buckwheat hulls. Supportive and heavy to be much more sturdy and durable. 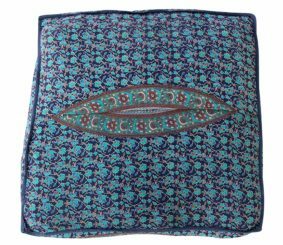 A stunning Bolster Style, Crescent Meditation Pillow in a range of colors and designs for you to choose from. Versatile and meticulously designed with excellent craftsmanship and durable materials. Offers full support for sitting and lying on. Comes with easy grab and go handles for transportation purposes. Filled with all Natural Cooling Buckwheat hulls for the best balance of firmness and pliability. Zipper access for easy cleaning and adjustability. A crisp and natural cotton cover in a variety of color options. Bean products offer you a highly versatile and comfortable Zafu and Zabuton set, which is basically a meditation pillow and yoga mat in one. Comfortable meditation position for all ages and sizes of individuals. Offer outstanding support for proper alignment of your spine and hips, while also reducing stress on your ankles, hips, knees and lower back. Manufactured from organic cotton with a Zafu Buckwheat fill and cotton batting fill. Easily adjustable, and removable cover that is machine washable. 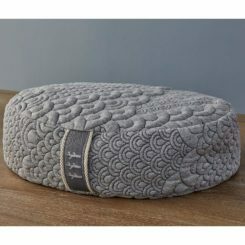 Included is one versatile large pillow cover for your Pouf or Ottoman with a variety of stunning Mandala print options available. 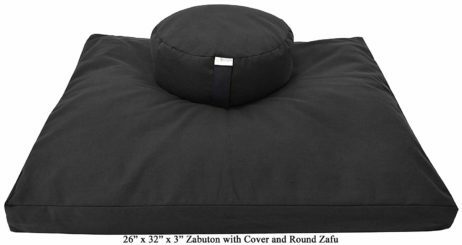 Sizes at 35 X 35 Inches to fit most large meditation pillows, Ottomans, and Outdoor poufs. Comfortable, soft and durable for all uses including meditation. I absolutely love this beauty, around meditation cushion that is just the right size, available in so many rich color print options, filled with light and soft Kapok. Features an all natural fully removable and washable cotton cover. Filled with Kapok, which is light, hygienic, hypoallergenic and completely vegan. Very high-quality and available in some beautiful prints in different color options. the Gaiam Zabuton is comfortable and supportive, allowing you the best posture and alignment in any seated position. A soft and plush, comfortable meditation pillow designed for improved support and comfort. Relieves pressure on your back, knees, ankles and ensures proper form and alignment during meditation. The cover is easily machine washable. Durable, comfortable and of the finest quality. All in all, a Meditation helps you to keep proper posture in a comfortable position and reduces pressure on your hips, knees, back legs and ankles. Finding the right meditation pillow for you is highly dependent on your body shape and type, your comfort requirements as well as your mediation levels and positions.